Preparing a raw food diet is similar to making a home-cooked meal. It may be awkward at first for those of us who do not spend a lot of time in the kitchen. With time and repetition it will become habit and seem simple. The raw meat, veggies, and extras are mixed together and served at room temperature. Cold food can cause GI upset and takes longer to digest. Feed the meat and veggie mixture first. The raw bone is saved for dessert because it is often the pet’s favorite part of the meal. Rinse cold meaty raw bones in hot water to bring to room temperature prior to feeding. Serve filtered, spring, or distilled water rather than tap water. Use lead-free ceramic, glass, or stainless steel dishes rather than plastic dishes. Ingredients for this diet can be found at grocery stores, health food stores, farmers markets, and meat markets. We encourage you to buy organic if possible. Most dogs and cats will only need to eat this diet once daily. 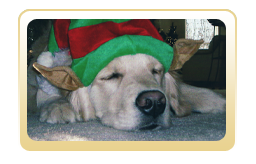 Younger pets or seniors with health problems may need 2 meals daily. The benefits of feeding a raw food diet to your pet are many and varied: stronger disease and parasite resistance, elimination of bad body odor and bad breath, healthy skin and hair coat, improved digestion, clean teeth and ears, intestinal exercise, upper body exercise, and good mental health. Good nutrition is truly the foundation of health. For most pets this type of diet will build a healthier immune system. This in turn helps the pet deal with the stresses of our polluted world and provides them with optimal quality of life. A raw food diet may not be appropriate of all pets, but for many it will help them to function at their best. For those of you wishing to learn more about raw food diets please consider the following books: Natural Nutrition for Dogs and Cats by Kymythy Schultze (copies available at our office) or Give Your Dog a Bone by Ian Billinghurst V.V.Sc(Hons). 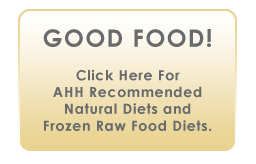 Please contact our office for a list of commercial raw food vendors and for home made recipes. 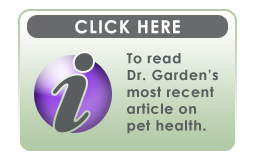 Dr. Teresa Garden is chief veterinarian and owner of Animal Health & Healing, a full-service holistic and conventional veterinary practice in the Maplewood/Richmond Heights area.